The Commercial Park Advisory Council has worked hard to be a part of the Circus in the Parks tour this year. 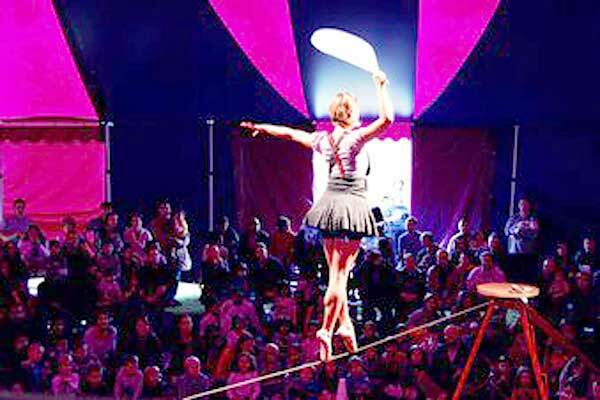 On Oct. 15 & 16, Midnight Circus will give four shows in the little big top at Commercial Park, 1845 W. Rice St. Proceeds will go toward improvements at Commercial Park and the two playlots the advisory council oversees, Snowberry (1851-57 W. Huron) and Superior (2101 W. Superior). Midnight Circus gives an incredible show, and I am certain it will be the most fun you will have doing good. Performances are 2 & 5 pm Oct. 15 and 1 & 4 pm Oct. 16. Tickets are $15 at circusintheparks.org.